My experience in Japan started out in Tokyo. 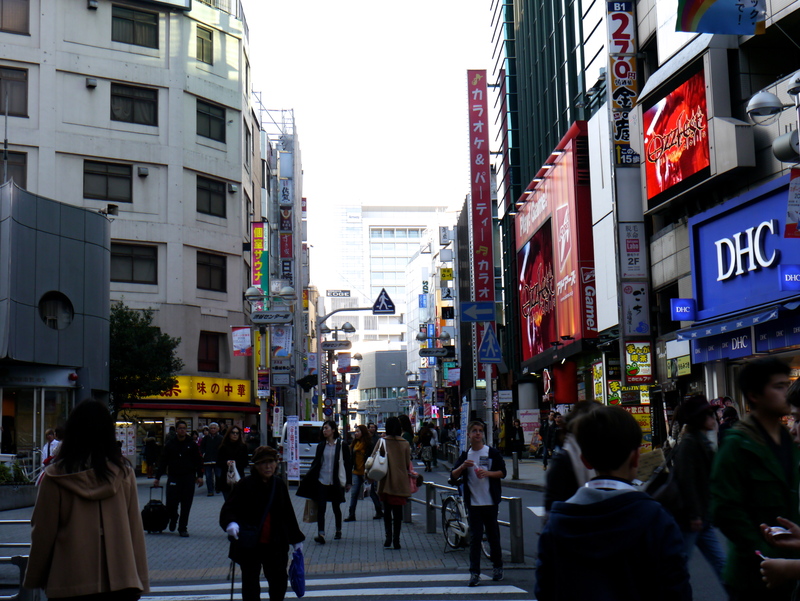 The biggest metropolis in Japan, with millions of people darting about on a daily basis, from Shibuya (see the famous crossing here) to Akihabara, or electric town, it turned out to be my love of a lifetime. A few trips and I was hooked! The food, culture and the old world still inspiring the new is what makes Japan unique. Although Tokyo is a little removed from the traditional Japanese style that has now become synonymous with the East, it is wonderfully modern, convenient and fun! 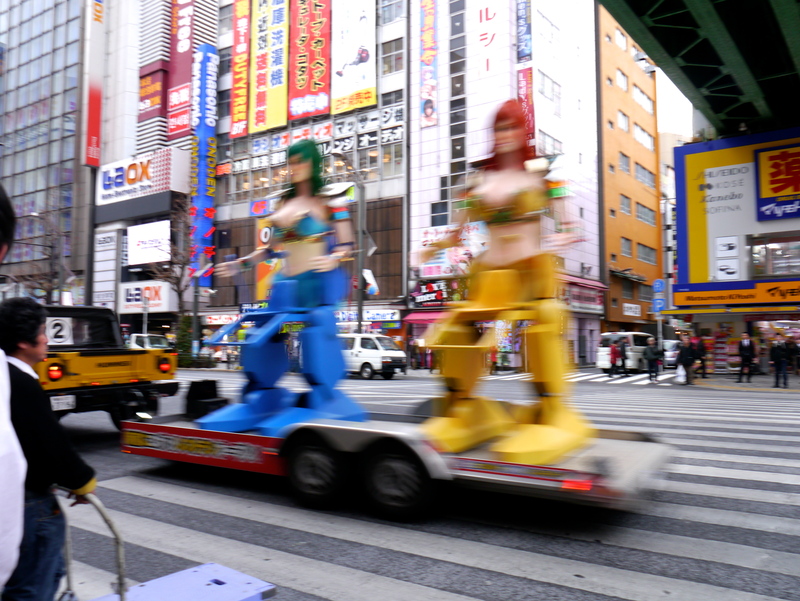 Tokyo is fascinating, and is definitely not a visit you could do in a week- many of the best attractions of Tokyo come alive when you spend some time in the city and mingle with the locals. However, if you do not have the time to fully explore Tokyo, there are many sights which are within easy reach of the main stations and can be visited over a short period of time. Travelling around Tokyo is easiest when done by train, since the tickets are reasonably cheap and the majority of foreigners use a Japan Rail Pass to get around which not only lets you have a discount on travel, but also lets you not worry too much about travelling outside of Tokyo too. However, do not be misled- there will be some times when you will need to purchase tickets in Tokyo, and it is worth checking out some sites to make sure you don’t get lost on your arrival. Tokyo is better done in steps- first follow the tourist route and go to the sights- Tokyo Skytree, Asakusa Shrine, Meiji Shrine and the districts- Ginza, Shibuya, Shinjuku, Shibuya, Akihabara. It’s a good idea to figure out what each section has to offer, as you may end up spending more time than you planned in any one of them. 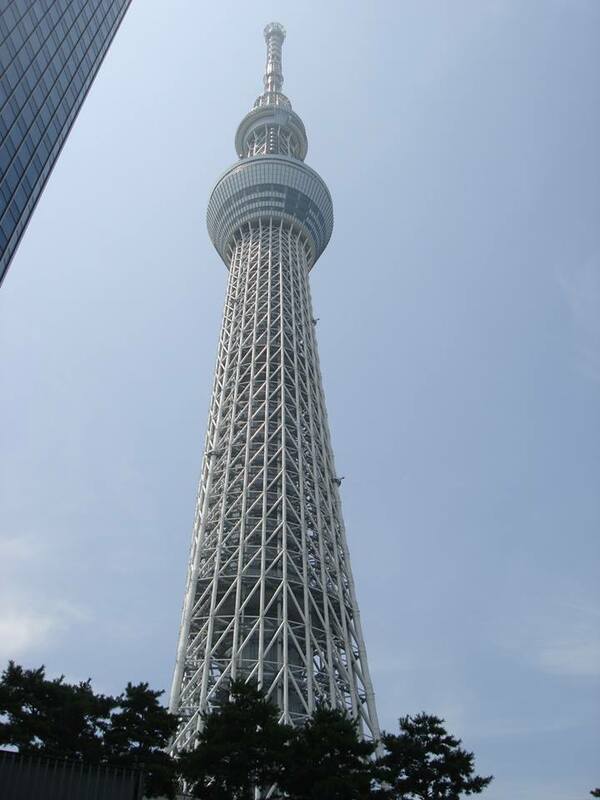 It is the tallest structure in Tokyo, and its gleaming observation tower can be seen from the Asakusa shrine. Not only can you get a fantastic view of Tokyo, you can also see Mount Fuji on a sunny day, and get treats and an exclusive meal looking out on the Tokyo panorama if you book ahead. 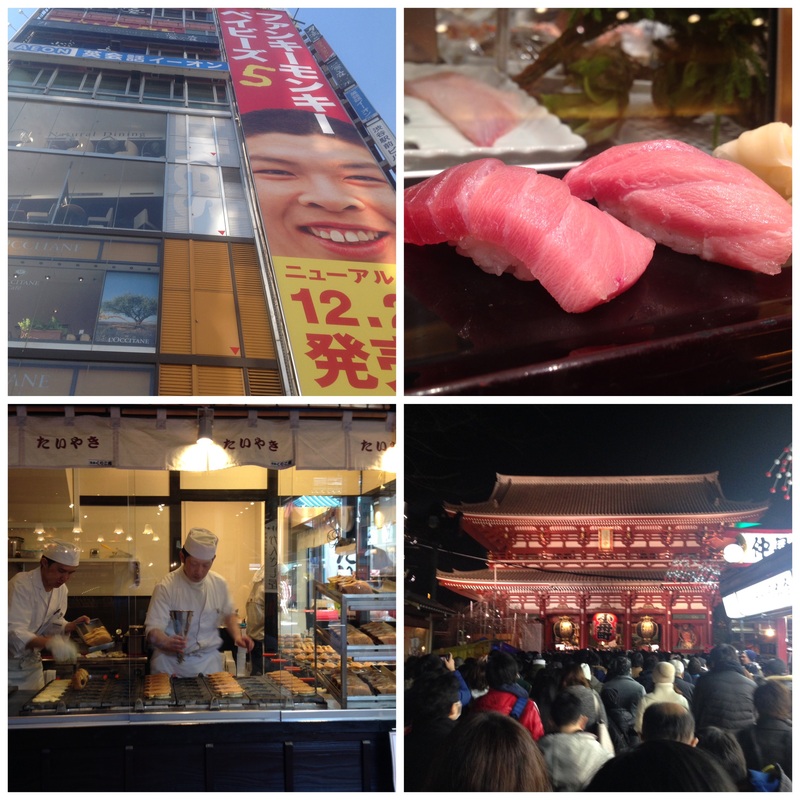 It is very popular with tourists, especially if you decide to visit the Asakusa shrine and the Tokyo Skytree in the same day, as the crowd does seem to move from one to the other seamlessly. 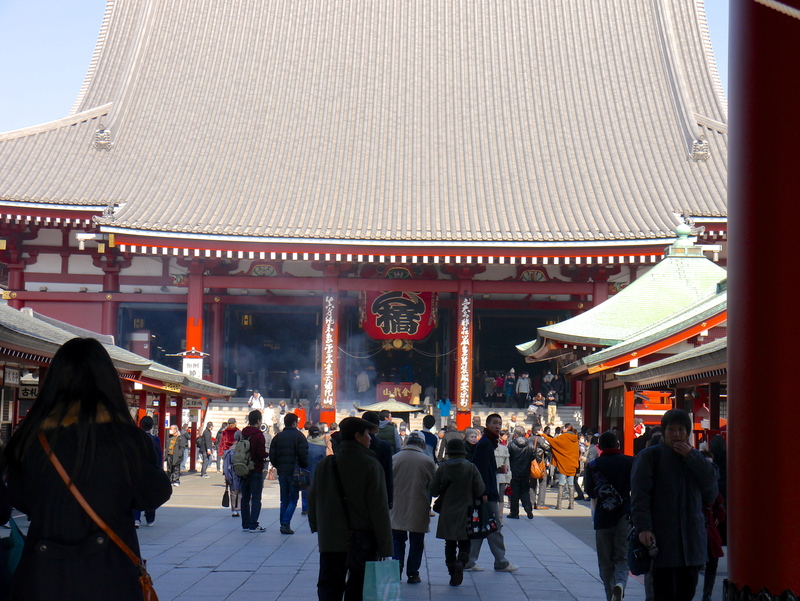 The next stop would be the Sensoji Asakusa shrine in Asakusa. This shrine is actually not created to honour the Gods as much as it is to honour the two fishermen that discovered a little statue of the Goddess of Mercy, Bosatsu Kannon and the wealthy landlord that introduced the two fishermen to Buddhism. They are now consecrated as deities, but it is a good lesson in showing how even the most humble beginnings can find the most spectacular of endings. For the best time to visit, think at night when the temple is lit up and the stalls serve delicious snacks, and you can smell the taiyaki (fish shaped cake with sweet filling) in all the alleys. The side alleys next to the temple are filled with great places to eat, from sushi (there is one restaurant which specializes in tuna, although you do have to stand) to soba and ice cream. 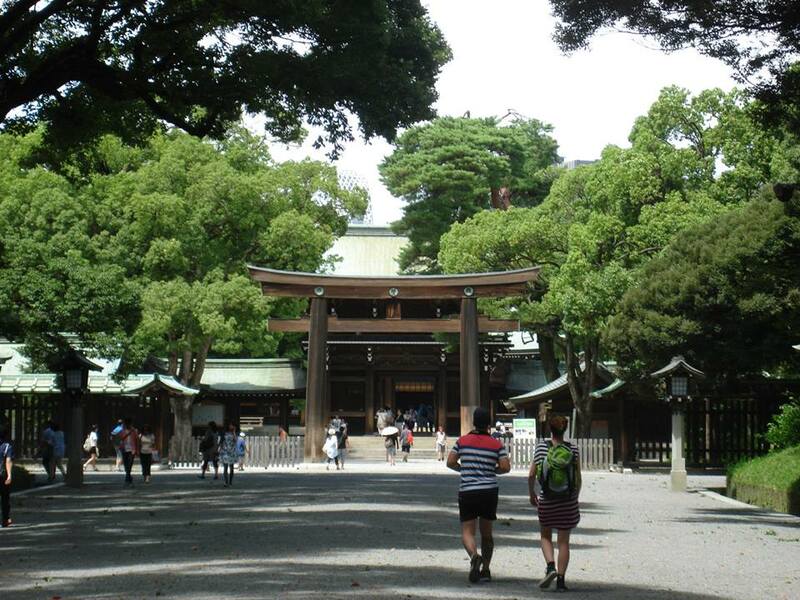 The Meiji Jingu Shrine is up next, and is rather less touristy than the Asakusa Shrine, and a lot more airy too. It is located in the Yoyogi Park, and a pleasant walk allows you to not only view the magnificent temple but to also take in the wonderful surroundings. The shrine is significantly different in structure- note the differences (the main one being that the majority of buddhist temples are red) to make sure you don’t confuse the deities elsewhere. Ginza is the ‘oshare‘ (posh) part of Tokyo- nowhere else will you get such a diverse range of shops and department stores, especially Daimaru which houses one of the best underground food halls- a must see in Tokyo. Recently the main street of Ginza featured on a show in Japan- showing that tourists choose to buy their luggage in one particular spot on the street as it is the most popular for the price. Maybe see if you can find it? Shibuya is not only known for its crossing- although that is what the majority of tourists come to see, crossing the street in all directions. It is also home to some great nightlife and dining opportunities, which are not to be missed. There are many interesting shops in the alleys- although you don’t want to stray too far from the main shops as many of the African shops selling hip-hop gear are far from safe. Some stories suggest muggings in the area at night, both with tourists and locals. 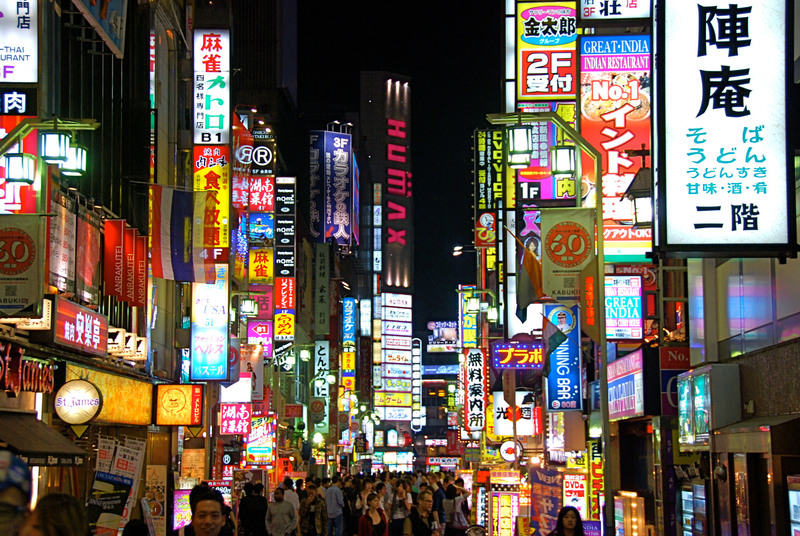 Shinjuku is next on the list, and rightly behind Shibuya as it is not as safe at night either- many bars use the advertisers standing outside to lure their customers in for over-priced drinks, however a steady no should be enough to ward off those who wander down into Kabukicho. 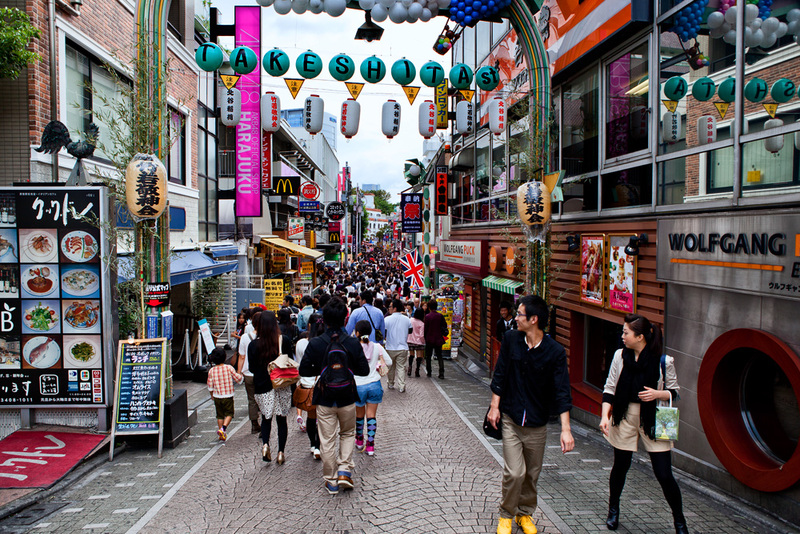 However, this is not an area to miss- many of the famous karaoke and izakaya will be based around here, as the place is known as the part of Tokyo that definitely never sleeps. This may also be a good time to try eating through the night-many of the food locals are open all night to cater to the salary men and tourists out all night. Akihabara is the electric town of Tokyo- the location to get anything from camera gadgets to laptops, games and old game consoles you wouldn’t get elsewhere. This is a perfect location for the avid gamer- nothing escapes the retailers here- there is in fact a particular shop which sells old games, consoles and cards of the past for the true collectors. New electronic equipment is all at hand- tourists buy rice cookers and ingenious gadgets here, and browse the array of smartphone accessories and beauty tools all at a great price. Harajuku is a great sight for a slightly more relaxed day- there are plenty of cafes to relax and have ice cream parfait’s and to watch the people on Takeshita street, where you can also find a variety of Kawaii items. The young rebels of Tokyo come to display their quirkyness, and they certainly do not disappoint. 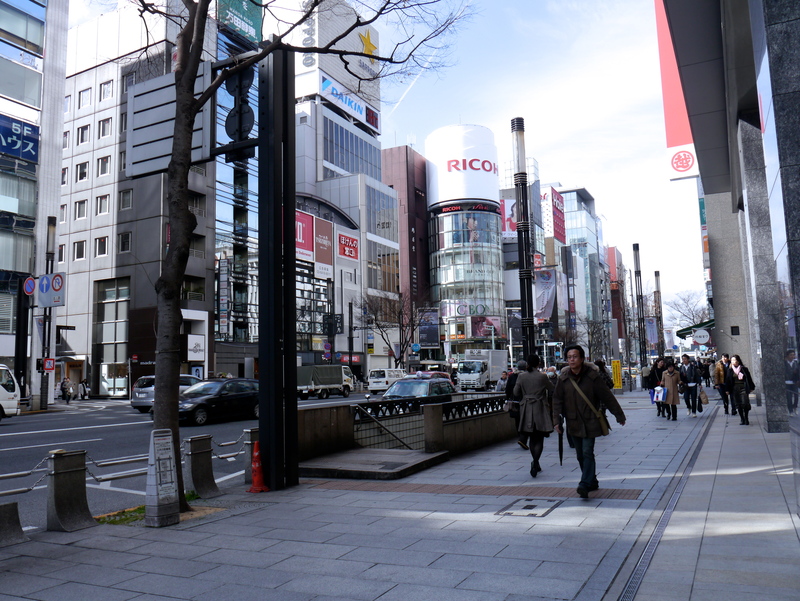 It is also in close range to Omotesando, where if luck takes it, you can be scouted for Japanese TV shows. It is also a particularly good spot for high-class coffee spots and exclusive brands. Now this may not be a sight in particular, although it certainly is one for the eyes. Sushi is going to be a part of every part of Japan you go to, and every location will have a different basic structure and ingredients. 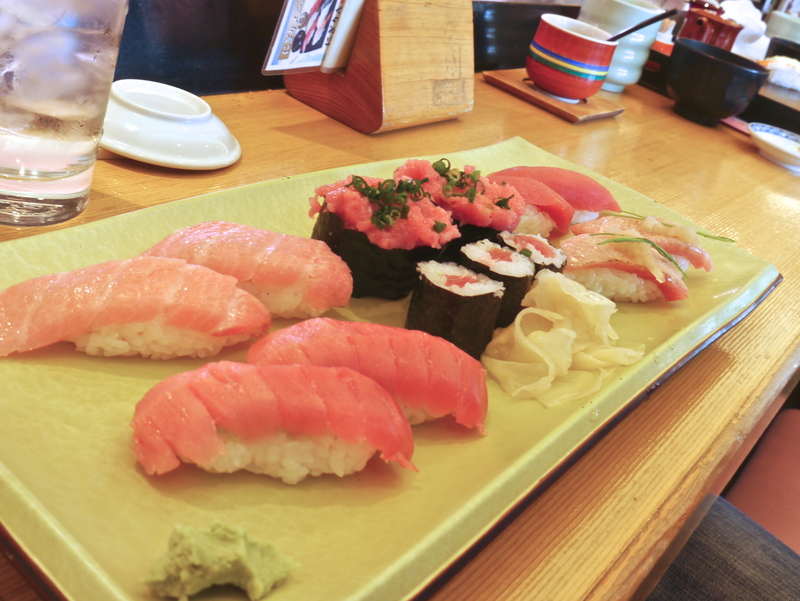 Tokyo sushi is primarily nigiri, or a slice of fresh fish on vinegar rice (shari), and salmon is actually one of the least popular fish to place on top. Good choices include mackerel (saba), prawn (ebi), scallop (hotate) and if you are feeling adventurous, try the chef’s recommendations (omakase).